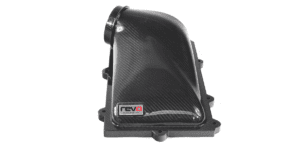 The Revo Carbon Series Air Intake system is a direct replacement kit for the Audi TTRS 8S and includes a beautiful carbon lid designed to increase the flow of air by utilising the enlarged diameter outlet and increased volume. 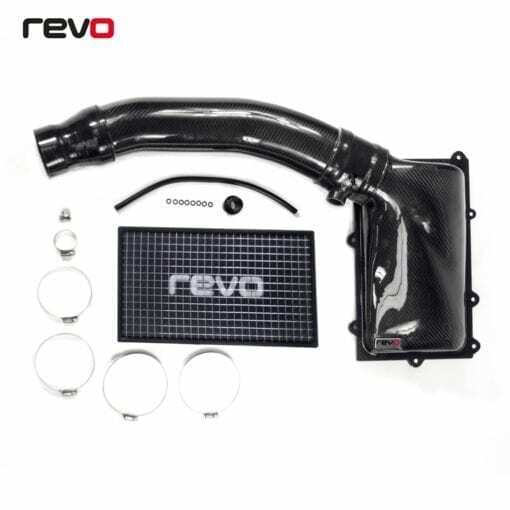 The Revo Carbon Series Air Intake system is a direct replacement kit and includes a beautiful carbon lid designed to increase the flow of air by utilising the enlarged diameter outlet and increased volume. The Revo Panel Filter upgrade replaces the restrictive stock paper filter, and a Revo carbon intake pipe allows air to flow smoothly to the turbo from the airbox, resolving the restrictions found during flow testing of the OEM system to improve your engines response and the power it can create. 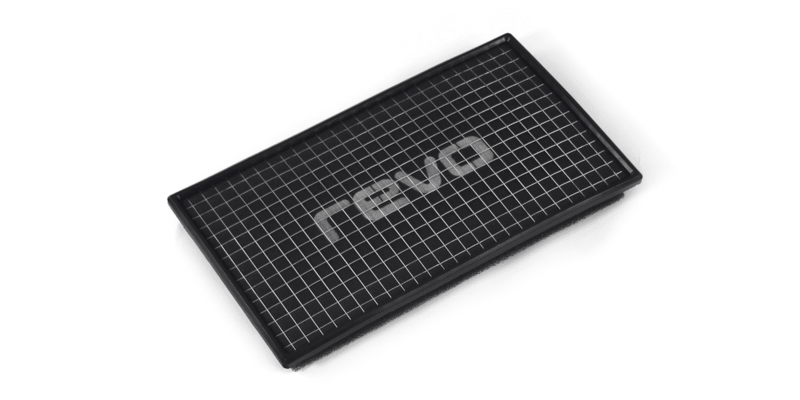 Manufactured using the highest quality materials, the Revo carbon airbox lid directly replaces the standard plastic part with an increased outlet size of over 13% being fed by specially designed airflow channels. 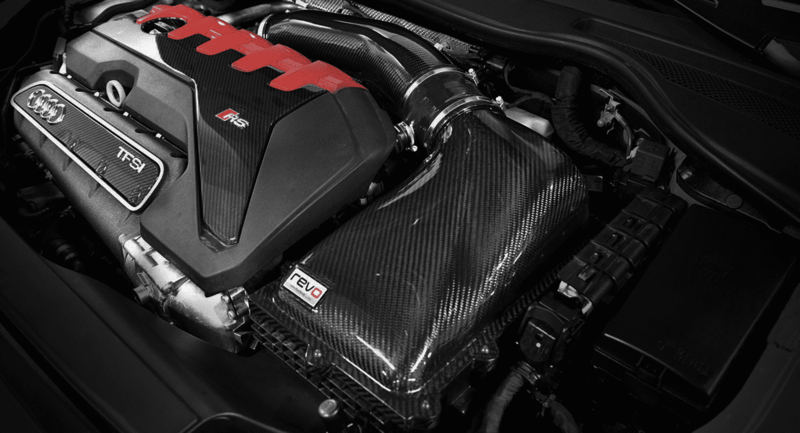 A gloss carbon finish coupled with impressive performance benefits delivers in form and function, looking great in the engine bay yet still performing above and beyond the OEM part. 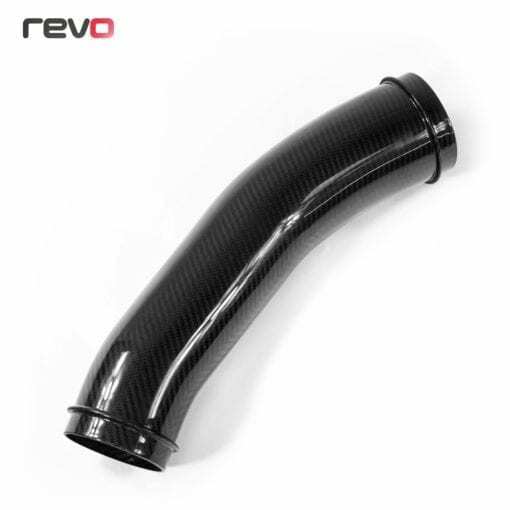 The newly designed carbon fibre pipe smoothly tapers from the airbox to the turbo, removing the corrugated plastic section of stock pipe and provides the smoothest possible airflow. 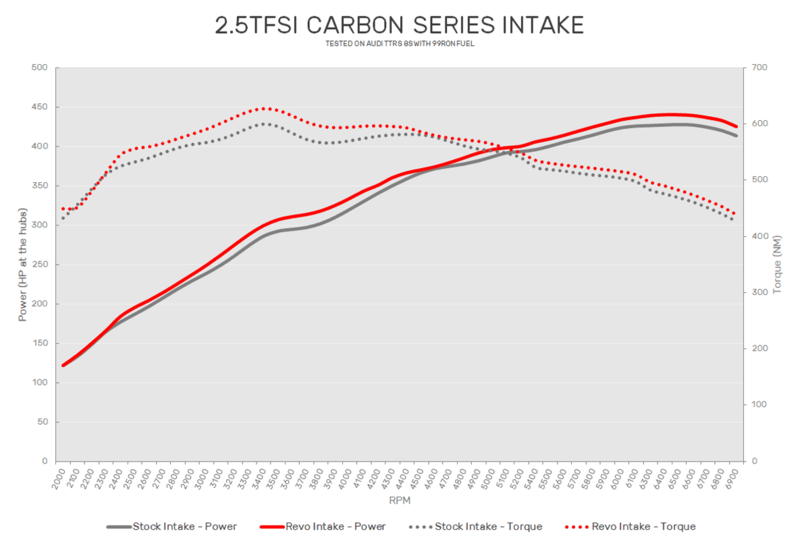 The 20% size increase and thermal properties of the carbon keep intake temps lower, allowing the 2.5 TFSI engine with Revo ECU performance software to produce more power. Revo Panel Filters use multi-layered foam technology to trap dust and dirt while maintaining flow efficiency over time. 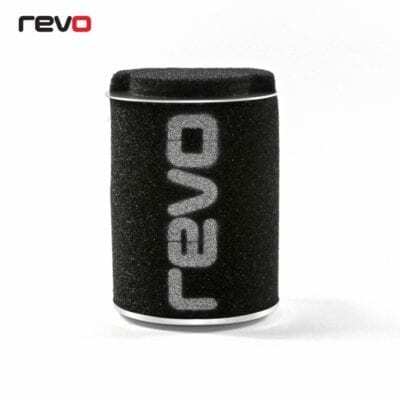 Using foam increases the filter’s surface area and is washable, compared to standard paper and cotton filters which trap dust on the surface and become less efficient the more they are used, choking the engine and reducing performance. 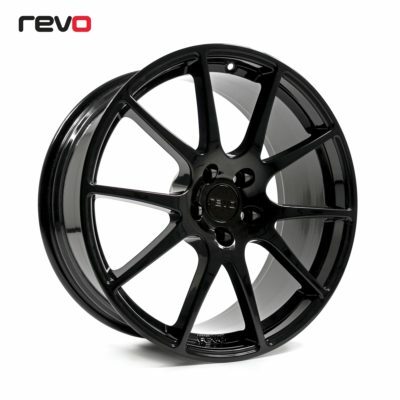 No detail has been overlooked when reducing restrictions within the stock airflow system. The stock corrugated plastic hose is replaced with a smooth silicone one, reducing air turbulence. A three-ply construction with the addition of fluorine for added protection, increases strength to prevent collapsing under pressure. 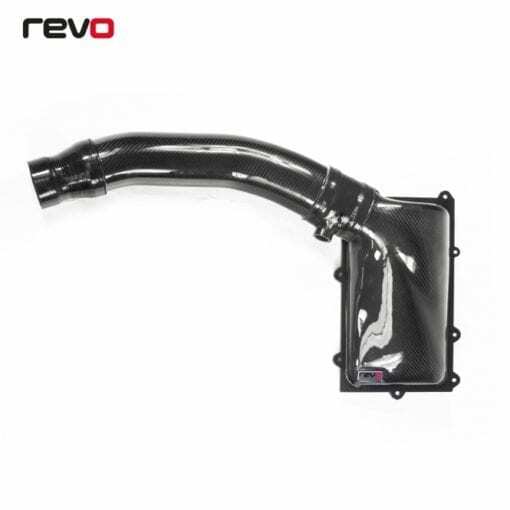 Internal steps flush fit against the stock air box and the turbo inlet, creating a smooth transition between components ensuring the smoothest airflow. 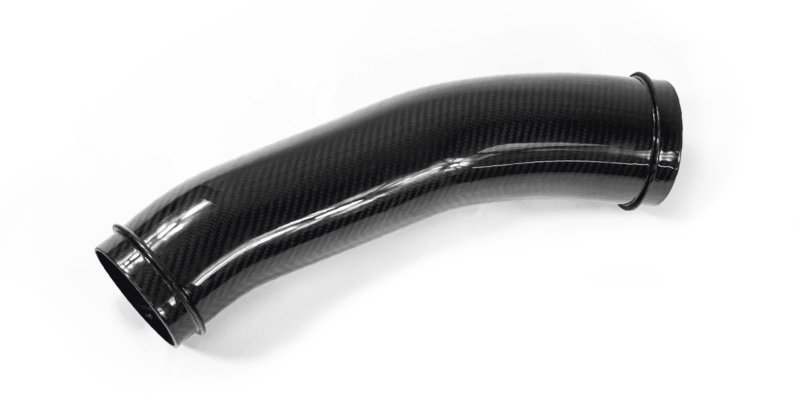 To ensure smooth airflow from the carbon intake to the turbo inlet, a tapered 4 ply silicone hose has been designed with includes a full fluoroline inner to protect against oil vapour. The silicone has perfectly matched internal steps to reduce any unwanted turbulence through the transition of parts, the steps are match to the outer diameter of the carbon pipe, and the internal diameter of the turbo inlet. 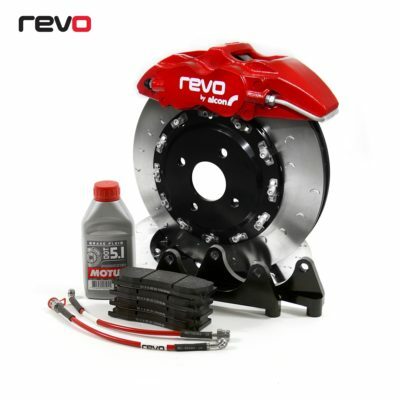 Testing was carried out with consistent conditions on both the OEM intake and the Revo Carbon Series Air Intake System on a 2018 Audi TTRS running Revo Performance ECU Software. While dyno testing for performance gains, VCDS software was used to log airflow with a full AEM logging suit used to monitor temperatures. The Revo Carbon Series Intake increased vehicle performance, especially over 3600rpm with 16whp and 31NM gains, highlighting the performance benefits over the stock components. 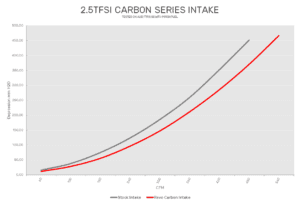 The only way to fully test the maximum airflow and restriction was to test both the stock and Revo intake on a controlled Flow test bed. 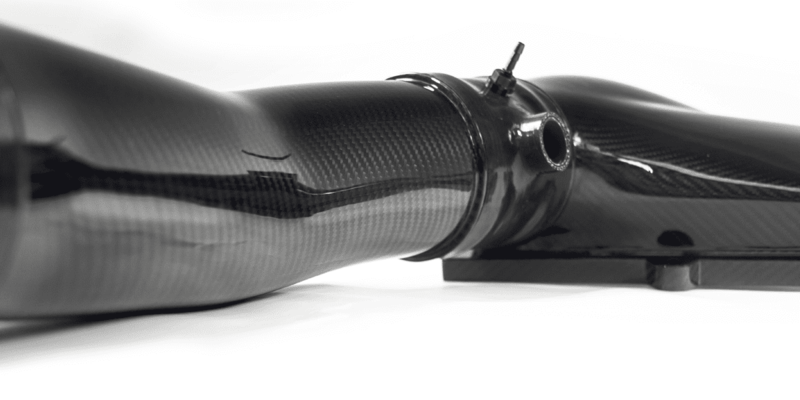 The testing was carried out using a 76mm orifice plate to simulate the size of the stock turbo inlet. 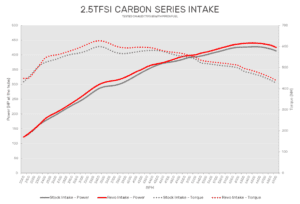 The Carbon Series Revo system had far less restriction than the OE unit, at 480CFM the stock unit was seeing 452mmwg restriction while the Revo unit only saw 371mmwg some 21% less restrictive, even at 540CFM the Revo intake only saw 467mmwg restriction and still had more headroom. 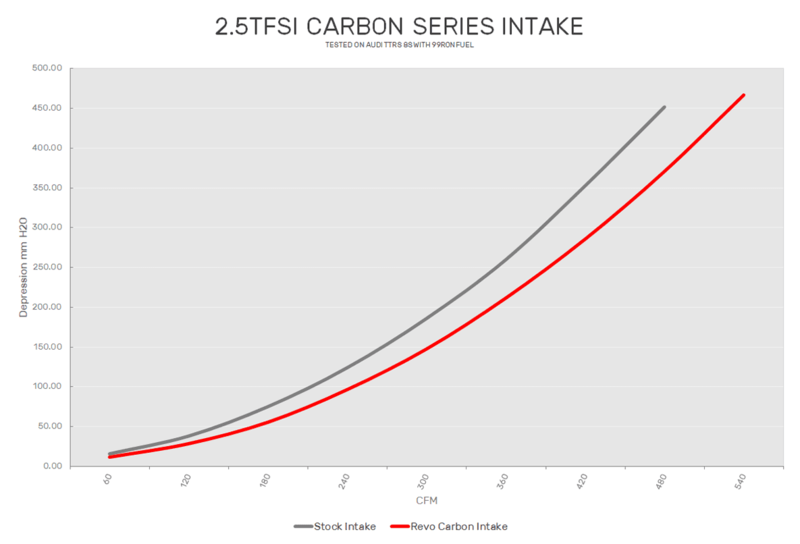 The graph below shows the flow test and comparison between the OE and Revo intakes.